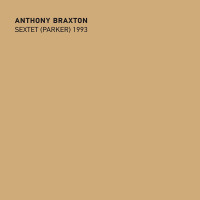 Originally released as 10 Compositions (Duets) 1995 on the Konnex label, this reissue is one of a series of duets with bass players recorded by multi-instrumentalist / composer Anthony Braxton in the early 1990s. Preceded by 8 Duets, Hamburg 1991 (Music & Arts), with the late Peter Niklas Wilson, and Duets 1993 (Music & Arts), with Mario Pavone, Braxton and bassist Joe Fonda follow a similar format on this intimate session. 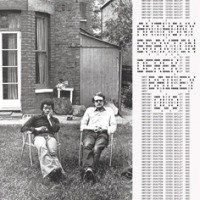 Like Braxton's previous album with Pavone, Duets 1995 contains a selection of originals by both participants, as well as a pair of standards. Cole Porter's "All of You" and Vernon Duke's "Autumn In New York" are adventurous but respectful readings of classic American songbook tunes, a marked contrast to Braxton's own knotty compositions. Fonda's pieces blend turbulent angularity with lurching swing and dramatic pacing; a perfect complement to Braxton's esoteric writing. Braxton's contributions, all drawn from his 100 series, are taut, jagged and rhythmically daunting; Fonda's adaptability to this material is itself an accomplishment. Pre-dating his droning Ghost Trance series, these invigorating compositions are comparatively brief. Each piece investigates a different musical scenario; "Composition No. 168(+147)" blends pregnant silences with sudden, frenetic interjections. "Composition No. 173" is punchy and linear, while "Composition No. 136" explores variations in pitch, from sub-harmonic bass rumblings to soaring harmonics. 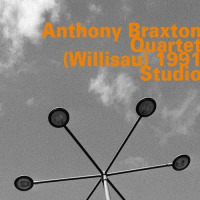 Demonstrating restraint and reverence for tradition on the two standards, Braxton's often cited debt to Paul Desmond and Lee Konitz is apparent. His breathy flutter-tongue alto phrasing, always propulsive but never overbearing, is regally accompanied by Fonda. On this meeting Braxton and Fonda share ample space. Each comments on the tunes in tandem without dominating the roiling, circuitous interplay. 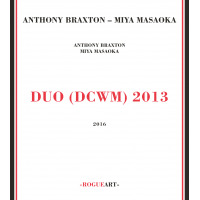 A brilliant program addressing all aspects of the jazz tradition, Duets 1995 is a solid representation of Braxton's all-encompassing aesthetic and a wonderful introduction to an enigmatic and often misunderstood genius. Visit Anthony Braxton and Joe Fonda on the web. Track Listing: All of You; Relentlessness; Out of the Cage; Something From the Past; Composition No. 168(+147); Composition No. 136; Composition No. 173; Autumn in New York. 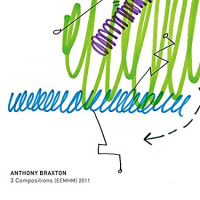 Personnel: Anthony Braxton: alto saxophone, C melody saxophone, contrabass clarinet, B flat clarinet; Joe Fonda: bass.